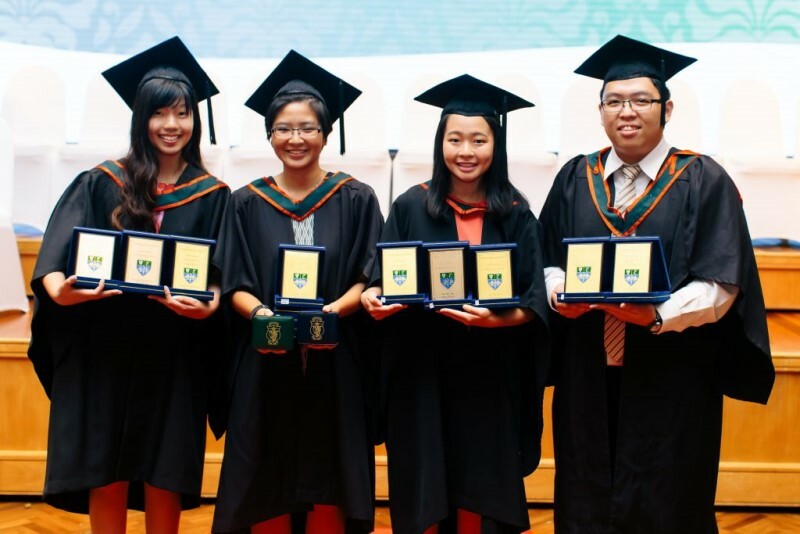 GEORGE TOWN: Some of the country’s brightest and studious minds were among some 130 doctors who graduated from the Penang Medical College (PMC) in an elaborate and historic 18th conferment ceremony here on Sunday here. It was historic in a sense that this was the last graduating class of PMC because the college is now known as the Royal College of Surgeons in Ireland (RCSI) and University College Dublin (UCD) Malaysia Campus or RCSI & UCD Malaysia Campus — RUMC for short. It was made possible as the PMC managed to attain the status as a foreign university branch campus — the 10th of such tertiary institution in the country. After some five years of intensive study, they have earned the right to be called medical doctors where each of them were given what was called the licentiates by the Royal College of Surgeons in Ireland’s president Kenneth Mealy and the Royal College of Physicians’ vice-president Dr Anna Clarke. Their degrees were globally recognised ones. The cream of the crop was Taiping-born Dr Esther Hor Shan Lin, who finished tops in the final medical examinations. The 25-year-old was the Class of 2018’s Valedictorian, and she was also voted the best all-round student, where she won the Penang Medical Practitioners’ Society’s Tun Dr Lim Chong Eu Book prize. Hor shared her experience with theSun, saying her attitude is always to do the best in whatever undertaking; hence her achievements as a triathlete and she was also a swimmer, who had represented Perak in the national schools championship. Hor studied at the Treacher Methodist Girls School in Taiping before qualifying for medical school at PMC where she excelled in surgery and paediatrics. She was joined by other top achievers like Dr Hannah Chen Yee Sze from Kuching in Sarawak, who top the class in medicine, obstetrics and gynaecology, and otolaryngology. Dr Foo Wee Nee from Kluang, Johor, was tops in psychiatry and ophthalmology, while her house mate Dr Hoe Hong Ming, from Malacca was the top in forensic and legal medicine. Other notable mentions was Seremban-born Dr Munirah Mansor, who received recognition from the United Nations High Commissioner for Refugees, Universiti Sains Malaysia and Penang Peace Building Club for her role as the head of the Rohingya Readers programme under the community outreach society of PMC. Munirah said that her involvement with the refugees helped her built up confidence in dealing with the public and boost her interactive skills when tending to the sick. Another achiever was Dr Lam Mynn Dee, who won the first in the class prize for her postgraduate work in health research. The PMC graduating class came from various locations. The young doctors all aspired to be the best that they can be, and they are raring to begin their housemanship in the public hospitals. They hoped for a posting to hospitals in the peninsular, while Chen hoped for a return to her home town of Kuching in Sarawak to serve the needy. Hoe recalled that the years he spent working part-time in restaurants, will provide him with the necessary training to be ready for housemanship. All of them were also active in recreational sports such as badminton and working out in gymnasiums. Among the VIPs present were the Irish Ambassador to Malaysia His excellency Eamon Hickey, the University College Dublin, college principal Prof Cecily Kelleher and, the RUMC president and chief executive officer Prof Stephen Doughty.